With its own full-time captain and crew, Kaliroy has been maintained to the highest standards with numerous improvements and upgrades. 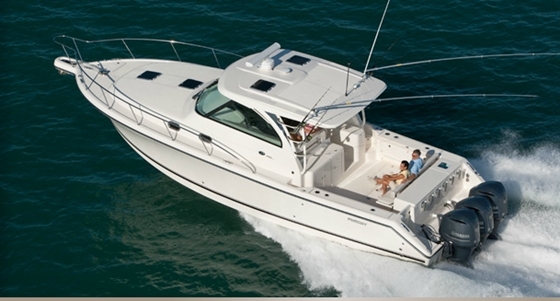 A true long range sportfisher set up for safe and dependable cruising. Kaliroy was hauled in 1999 and the bottom was stripped back to bare wood and let dry for 6 months. Then 100 gallons of West System Epoxy was applied as a barrier coat then new fiberglass on top done to custom builder, Ted Elliott's specifications. This was the beginning of a 3 year major refit and she has been continually updated and maintained since culminating with an all new electrical system to the tune of $75,000.00 U.S. Completed in 2017. Few of these excellent yachts come on the market so don't miss this opportunity. She is truly extraordinary and must be seen to be appreciated. Don't miss the video and be sure to click on full specs to see all she has to offer. 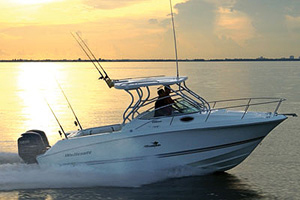 Located in the heart of the worlds best cruising/sportfishing grounds, La Paz, Mexico, the gateway to the Sea of Cortez. Once describe by the famed marine biologist Jacques Cousteau as the worlds largest natural aquarium. Dozens of picture perfect anchorages with white sandy beaches, crystal clear water are waiting for you to come and explore. 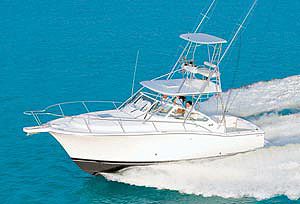 Let the experts in yacht ownership here in Mexico, show you how easy it is to begin your cruising/fishing dreams today. The flying bridge has a full set of instruments, engine controls with toggle steering, VHF radio, depth sounder, helm/observer bench seat, wind/spray shield (new 2017), bimini top, antenna, and signal mast. 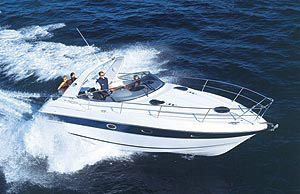 There is also a PFD storage container, wet bar with stainless steel sink, ice maker, cradled life raft in canister, a set of heavy duty boat davits (with new motors), dinghy in cradle, wave runner, BBQ, flood lights and engine controls aft of boat deck. The main salon to starboard contains a custom entertainment center and bar, a entertainment center with all new electronics. There is a settee, a wood dining table and four teak chairs, a bar and wine storage cabinet aft. There is a LG 40”(new 2015) TV in saloon. On the port side is a sectional Goose down sofa, two beverage tables, Venetian blinds, and a door to the cockpit. There is a 110-volt AC panel and a start-up and shut-down switch for the generator. The galley is U-shaped with a double stainless steel sink, trash compacter, dish washer, blender, stove, and a refrigerator/freezer. There is a new five burner gas stove and a new oven. All the Penn Tournament Poles With Penn Gold Reels, were custom made for KALIROY by BISBEE'S in Newport Beach, Ca. All the poles are SIGNED KALIROY, and also include what the pole is for. All the reels have been revised and rebuilt where necessary. 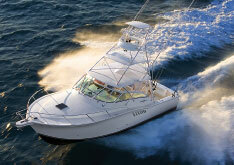 With the DEEP V BOW, the STABILIZERS, and the HIGH AFT DECK, the 76 TON KALIROY, makes for an excellent FISHING VESSEL!